SO THEY CAN SUPPORT EACH OTHER. WOACA’s vision is a community in which all older women have the knowledge, skill and self-confidence to develop and sustain healthy relationships. and communities are strengthened by collaborative efforts. JOIN....Sara Johnson, Co-Coordinator of Women's Strength Police Bureau, for a non-physical safety workshop that includes information about skill training classes and volunteer opportunities. Light refreshments will be served, donated by Marc Koller, current candidate for congress in the 3rd congressional district. www.marckoller4congress.com. Entrance fee will be based on a siding scale and all proceeds will go to WOACA - Women of a Certain Age. Our seating capacity is 100, please register in advance so that we may be able to accommodate everyone. Check out photos from a past Girlfriend Time event! Oct. 2018: We are excited to announce a partnership with Comfortably-Numb is Portland, Oregon to support our girlfriends with an incredible discount on CBD products that also supports WOACA. Get 10% off with code WOACA on the Comfortably-Numb site and WOACA gets 5% in return! Dec. 2017: Jacki Gethner launches "The Girlfriend Guide": a resource developed to make sure that women have the ability to feel self confident as they age. From learning how to get support, tend to medical needs, and cultivate new friendships, this guide raises important questions and offers suggestions for self care for women of a certain age. Learn more about upcoming work for WOACA, how we support girlfriends through our ongoing efforts, and how you can help. When 64-year-­old Ann decides to try online dating, she finds both romance and one-night stands on the menu... Meanwhile, when the two‐years clean and sober Beth attends a convention, she has the unexpected opportunity to party. What choices will these and two other women in the book make? 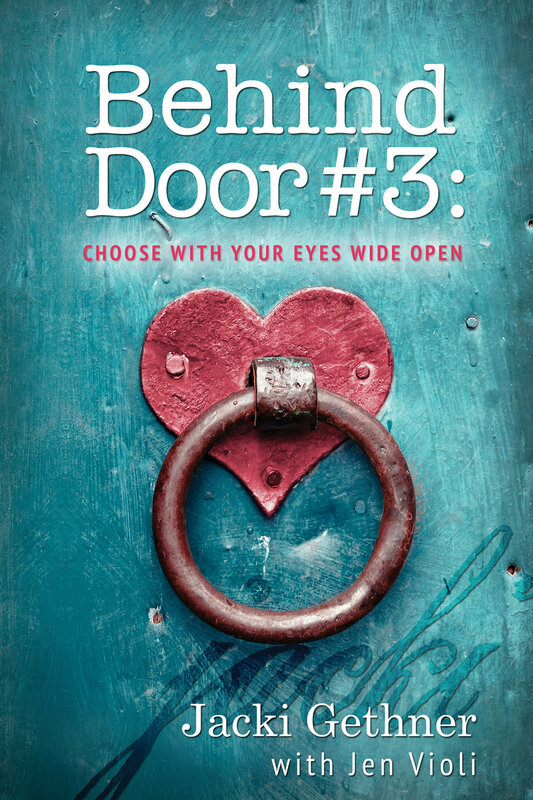 You, the reader, can decide in Jacki Gethner's Behind Door #3: Choose With Your Eyes Wide Open, an engaging choose‐your­‐own­‐adventure book that's as fun as it is educational. Please note: All proceeds for this book no longer go through WOACA, they go directly to Jacki Gethner. If you wish to make a contribution to WOACA, please scroll up on this page to find our fiscal sponsorship donation information. Jacki Gethner [LMT, Certified Alcohol & Drug counselor (on sabbatical)], was the sole recipient of a national diversity award from Kaiser Permanente in 2009 and founded Women of a Certain Age. The $10,000 monetary award has been used to help support girlfriends to improve their relationships and thus improve their health and livelihood. She has won numerous awards since then and has been interviewed both in print and on the radio on related subjects. Jacki Gethner, a resident of Portland, Oregon is a renowned international health advocate, activist and educator. In 1987, she launched her practice Regenerative Therapies and she possesses over three decades of experience in counseling and bodywork. Jacki has a history in the field of HIV/AIDS where she has worked in collaboration with many civic and government agencies, health educators, faith-based organizations and pharmaceutical companies. Jacki is recognized as a pioneer and seasoned healer in working with trauma and long term chronic/terminal illnesses with families and vulnerable communities through the use of integrative therapies. Jacki's work with WOACA gives her many opportunities to educate and inspire, and her approach includes blunt and respectful conversation around sensitive topics including intimate relationships, sexual behaviors, the importance of Hepatitis C testing and treatment, and self esteem as it plays into all of the above. She is known for her playful style and keep-it-real perspective, removing the stigma on these topics and encouraging others to feel safe in discussion. She often presents on topics such as speaking up for oneself in other aspects of one's life including one's healthcare — covering areas mental, physical, and emotional — with providers, family members, friends and acquaintances. Her goal is for her message to be spread through you to other women in your life, and to give you the tools and support to have more ease in having conversations around these challenging topics with the people you care about.